Each with a different design has a bathtub or shower with hot water, air conditioning, TV, and wifi for internet access. A private and secure enclosure is available to park your car. All rooms and common areas are non-smoking. 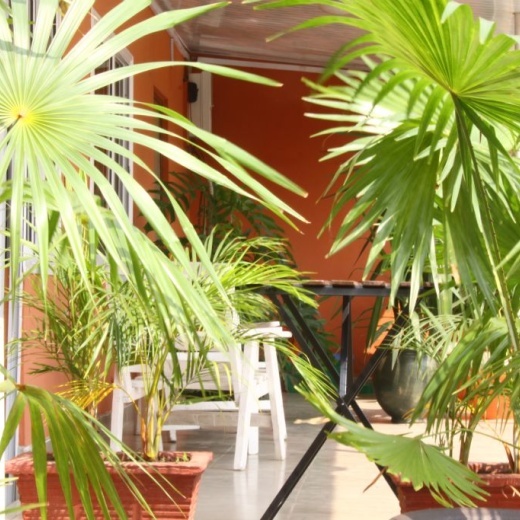 There is a living room and garden terrace in the sun or shade to relax and share time with other guests if you wish, and to enjoy books. Breakfast is served from 7:30am to 10am in the dining room, on the terrace to enjoy the morning breeze, or in your room. Enjoy European or African cuisine for your dinners. The menu, common to all guests, varies every night depending on the market produce. If you have any dietary restrictions just let us know, and we will be happy to make changes for you. Barbecue dinners can be arranged on request. 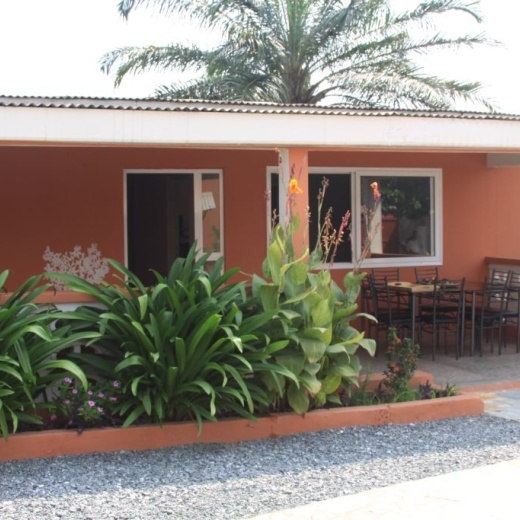 Chez Delphy is located in Labone, a quiet, residential area in the centre of Accra, with easy access to the best areas. We are 3 minutes from Osu, where you will enjoy all the city has to offer (including restaurants, bars, a shopping mall, and banks), 10 minutes from the airport, 5 minutes from the beach, and only 15 minutes from the business district.